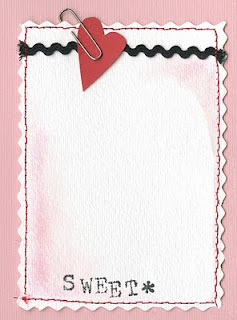 Paige Hill: Free Valentine Vintage Images! How beautiful. So sweet of ya'll to share with your readers. I copied the first image. It would be cute as a tag on a little bag of homemade heart shaped cookies. Thank you. I like all of them but the framed image at the top is my favorite. Beyond that I love anything that has a Parisian feel. Hi Paige, lovely images! I too like images with a French theme. I have some free images on my latest blog post that you are free to grab as well, from some old French magazines. How lovely! Yes frames are wonderful, as are anything sepia toned, lettering and words. lots and loads of words and phrases. You can do so much with vintage text, don't you think? and the wonderful work that you do! very much appreciated by all! Love these sweet images. My favorite is the 3rd image.. love the color and scroll edging. What pretty images, thank you! 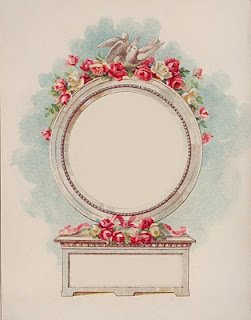 I'd love to see flowers, trees...anything natural I also love frames....art nouveau being my favorite style! I love the images. Great idea. I need to join the Silver suitcase society. I love Jo Packham and her magazine "Where Women Create." She is so helpful to all of us inspiring women artists. I can wait for the new issue. Oh and thinks for following my blog. Paige, They are all wonderful. I am going to use the top one for some altered art. Thank you so much. I am tickled to find your site. I love this idea! The images are beautiful. I make Valentines every year for my two daughters, both of whom are in their 30s now...old-style corny ones with paper doilies and all! These images will be perfect to incorporate. I love any and all vintage pictures, and use them in quilts and fiber postcards as well. I'd love to see more of old buildings and city-scapes. They conjure up all sorts of ideas for me. Love the images! I like anything to do with sewing, cross stitch, children,clocks, and the 50"s.
Thank you so much for sharing this free download. I am still trying to figure out what to put on my Blog. Maybe in a week or two, I will have it figured out. BTW there is a Jane Austin exhibit at The Morgan Library and Museum in New York, NY until March 14th. Check out the Feb. issue of Victoria magazine. 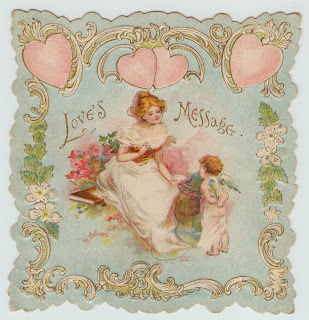 I haven't delved into digital images yet, but my favorite is the "Loves Message". 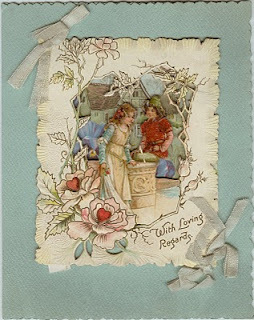 It is hard to go wrong with Vintage Valentines - thank you for sharing these with us! So pretty, I love the less traditional colors. Thank you! Hi, Paige. Thank you for the facebook "heads up' for WWC. These are truly beautiful. It is going to be a wonderful blog, I'm sure! Thank you!! I love the 1st and last images..I can't choose between the two! As far as future images, I love vintage text, and in foreign languages. Especially French and Japanese. i love: "Love's Message"...(the last photo) it is endearingly sweet and is able to capture hearts, no matter what season. may use it for a scapbook page or send as a letter to someone i love. thanks kindly. I like them all but the firts one is the best! Thanks for sharing such beautiful valentine images. My personal favorites are "with loving regards" and 'Love's Message. Happy Valentines to You!